You are here: HomeR&S Law Group, ACP ⁄ Family Law ⁄ Do the 2019 Federal Tax Laws Affect Spousal Support in CA? Do the 2019 Federal Tax Laws Affect Spousal Support in CA? As you might have heard by now, the new tax code went into effect on January 1, 2019. This tax code overhaul is significant, and the US hasn’t had such a comprehensive tax code reform in over 20 years. 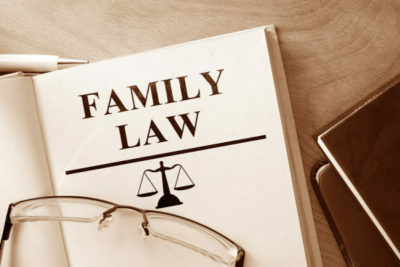 Needless to say, the new set of laws has left people asking all kinds of questions, especially in regards to family law matters such as spousal support. This month, we want to shed some light on how these new tax laws impact spousal support in California. For a more detailed discussion as it pertains to your specific needs, don’t hesitate to contact us directly at R & S Law Group, LLP. For now, here’s a quick overview of spousal support under the new tax laws. One of the biggest differences that the new tax laws introduce is that spousal support is no longer deductible on the payer’s end and taxable on the receiver’s end. This not only makes calculating future payment arrangements more challenging, but it is likely to carry other unexpected ramifications as well. For example, the incentive for a payer to have a high-payment arrangement is essentially gone as there will no longer be a tax incentive attached. On the flipside, those who are on the receiving end of spousal support payments will see their tax liability lessened as they will no longer have to include the payments as part of their taxable income. However, there is one important caveat to all of this: the changes won’t retroactively apply to any existing arrangement. As stated, divorce decrees that were entered before the new year will continue to move forward with the older set of laws. So for those who are seeking a modification in order to secure a lower payment under the new laws, this is not an option. On the other hand, they will continue to deduct these payments on their taxes for as long as the arrangement is in place. Of course, there are valid reasons as to why either party might request a modification of spousal support in California. In these cases, your first priority should always be to consult with an experienced family law attorney. When it comes to spousal support and modification requests in CA, you need someone who can assess your situation at length and determine the course of action that best protects your interests. Here’s where the legal experts at R & S Law Group, LLP can help. If you want to learn more about how the new tax code will impact your upcoming divorce or custody/support arrangement, and to speak with one of our knowledgeable divorce lawyers, be sure to call us directly at your earliest convenience. We offer free initial consultations, call today to schedule yours.